Note: Workflows are now the best way to set up email automation sequences. Send email campaigns that are triggered (with an automation) when a conversion form or landing page is completed. Autoresponders can include just one email (for example a “Thank you” email) or a larger sequence with custom delays between each email being sent. 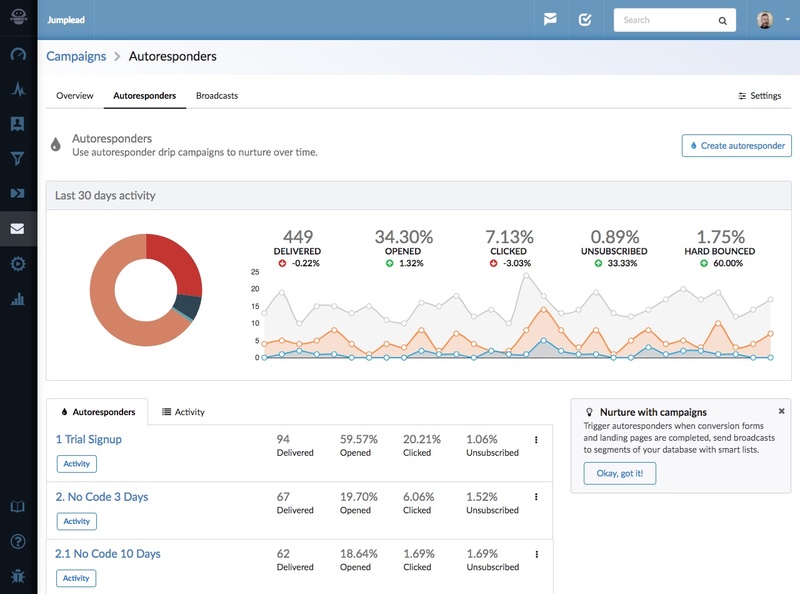 The overview page for autoresponders shows combined campaign information to give you an overview of how your campaigns are performing. Each Autoresponder campaign is listed with an overview of the Deliveries Opens, Clicks and Unsubscribes so you can quickly identify how each campaign is performing. You can also click into a campaign to manage it in more detail, or create a new autoresponder campaign. 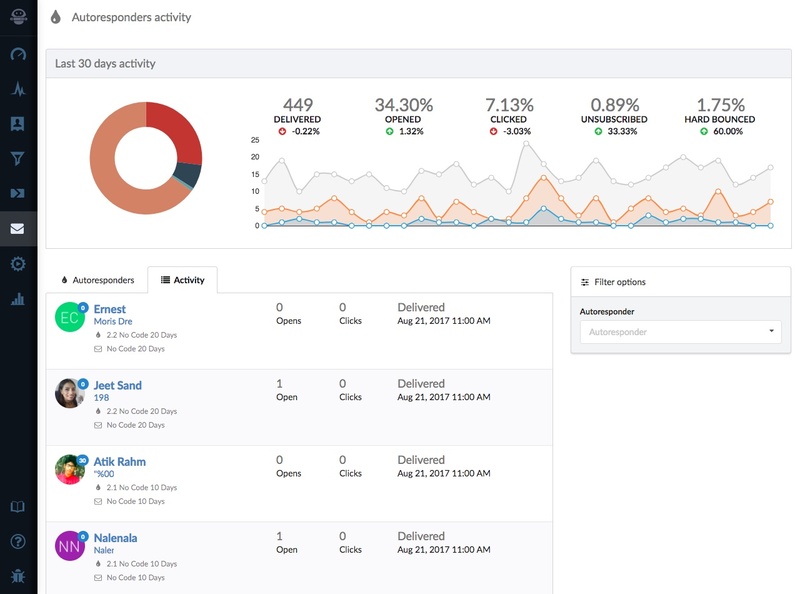 The Activity tab shows the latest activity from your autoresponder campaigns.